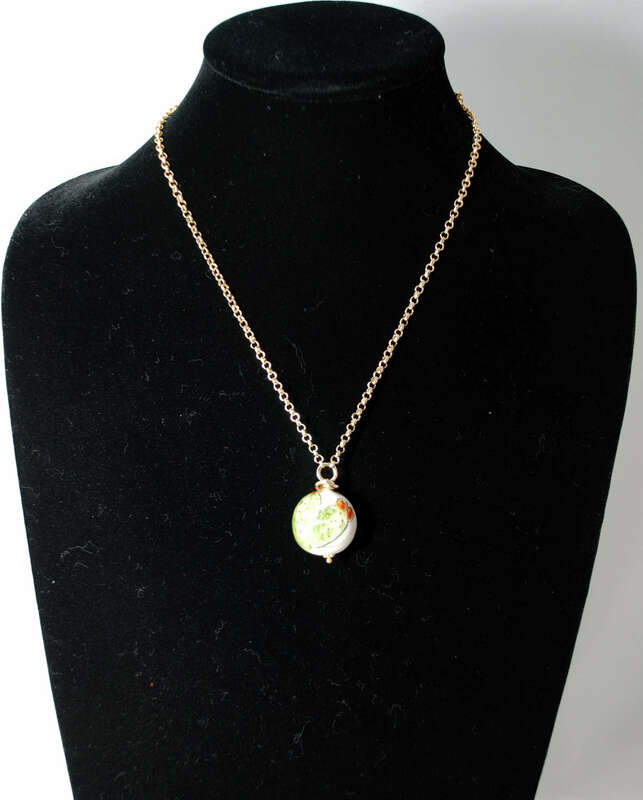 This is a 100% original Sicilian chain necklace with a pottery pendant. 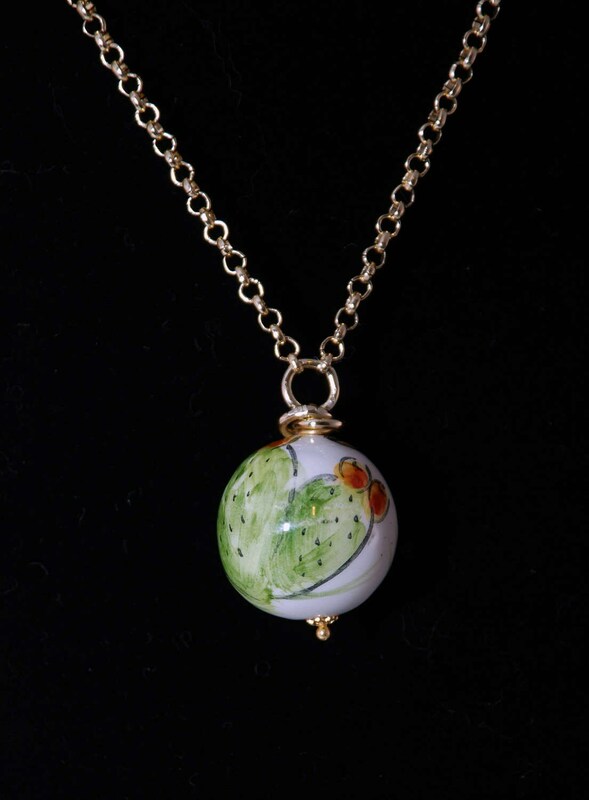 It was handmade in Caltagirone Sicily using only local raw materials and 100% hand-painted. We import those items from Sicily to the U. S. for the enjoyment of our customers. This is one of a kind item, impossible to reproduce exactly as it is. This chain is great to wear anytime in any occasion. About 31.5 inches length.